Over the last 40 years global-mean surface air temperature – ‘global temperature’ for short – has gained an extraordinary role in the science, politics and public discourse of climate change. What was once a number crudely calculated through averaging together a few dozen reasonably well-spaced meteorological time series, has become reified as an objective entity that simultaneously measures Earth System behaviour, reveals the future, regulates geopolitical negotiations and disciplines the human imagination. Apart perhaps from GDP rarely can so constructed an abstract entity have gained such power over the human world. All of this is very nicely illustrated in a new paper published in the journal Geophysical Research Letters, titled ‘Predicted chance that global warming will temporarily exceed 1.5°C’. Doug Smith and 32 colleagues set out to develop a new capability to predict the likelihood that global temperature will exceed 1.5°C above pre-industrial levels, for a variety of durations upwards from a month, in the coming five years. 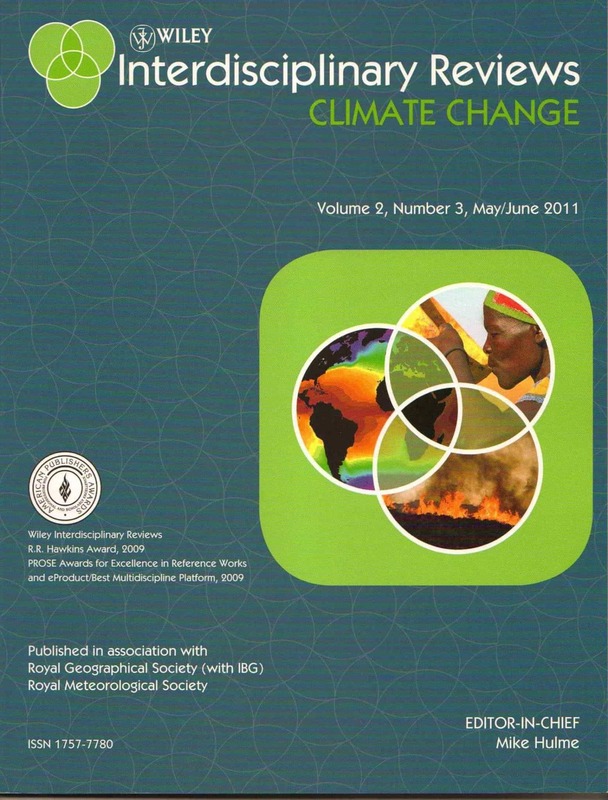 The assumed importance of the study is suggested by the author team mobilising climate modelling and analysis capabilities at 17 institutions in 9 different countries. But why is such an early warning system deemed necessary or useful? What power is being imputed to small increments of global temperature to alert future danger? Smith and colleagues argue that forewarning of temporary excursions of global temperature above a certain threshold—1.5°C is the normative threshold aspired to in the Paris Agreement on Climate Change, even though 2°C is the threshold formally agreed—for periods even a little as a month is relevant for policy-makers. To make such a claim requires an extraordinary degree of abstraction. Global temperature does not cause anything to happen. It has no material agency. It is an abstract proxy for the aggregated accumulation of heat in the surface boundary layer of the planet. It is far removed from revealing the physical realities of meteorological hazards occurring in particular places. And forecasts of global temperature threshold exceedance are even further removed from actionable early warning information upon which disaster risk management systems can work. Global temperature offers the ultimate view of the planet—and of meteorological hazard—from nowhere. I have argued elsewhere about the dangers of climate reductionism, a form of reasoning that lends disproportionate power in political and social discourse to climate model-based descriptions of the future. The adoption of forecasts of global temperature exceedance as an early warning index is a clear case of the related phenomenon of climatism. Similar to explanations of scientism—“the phenomenon whereby authority is implicitly granted to scientific and technical experts to define the meaning, scope and, by extension, [the] solution for public policy concerns”—climatism grants authority to an abstracted global climate, in this case to global temperature, to guide, direct and discipline human actions in the world. The authors of this new study claim to have developed an operational system with annually updated forecasts of the likelihood of near-term global temperature threshold exceedance. The value of such forecasts is claimed to lie in the general media and public interest they would generate. Issuing such forecasts to the world at large may or may not generate public interest. But they would certainly reinforce the growing ideology of climatism. It is another step toward putting abstract and unsituated descriptions of a globalised climate at the heart of world affairs. Offering forecasts of global temperature threshold exceedance as an operational proxy for risk and disaster management seems bizarre. Such early warnings would seem to assume that small fluctuations in global temperature contain meaningful and actionable information. But why is it significant to know that the chance of global temperature exceeding 1.5C for two months during the period 2019-2023 is, say, 25% rather than 10%? Such nuanced differences in the likelihood of a threshold exceedance tell us nothing about the likelihood of real meteorological hazards faced by real people and structures in real places. At the very least the proposed forecasts fail to discriminate between the different causes of global temperature fluctuations—e.g. greenhouse gas accumulation, aerosol loading, ENSO events, solar variability. Each of these causes carry very different implications for the geographical distribution of meteorological hazards, even if global temperature is identical. Humans are now agents of significant influence in the Earth System and human development trajectories carry a range of profound implications. 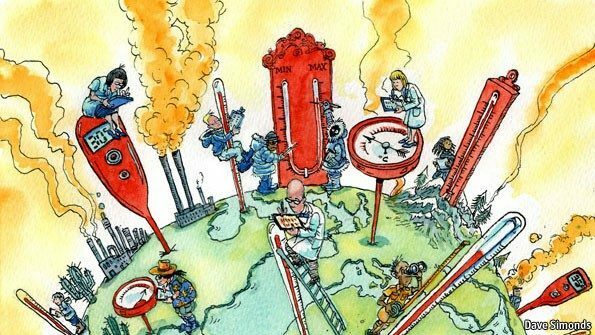 But offering annual forecasts of near-term global temperature fluctuations as early warnings to (re-)direct these trajectories fails to recognise the situated and differentiated polities, values and visions that shape the world. GDP has acquired the power to account for the economic health of nations and for the implied well-being of individuals. It has become the hegemonic index which national policies seek to maximise and an index which in turn passes judgement on the performance of governments. In a similar way, the ideology of climatism—aided by the reification of global temperature—narrows actions by the world’s governments to minimise this one index of planetary health. This new paper by Smith et al. reinforces this reductionist move and discloses the powerful performativity of global temperature in the contemporary world.